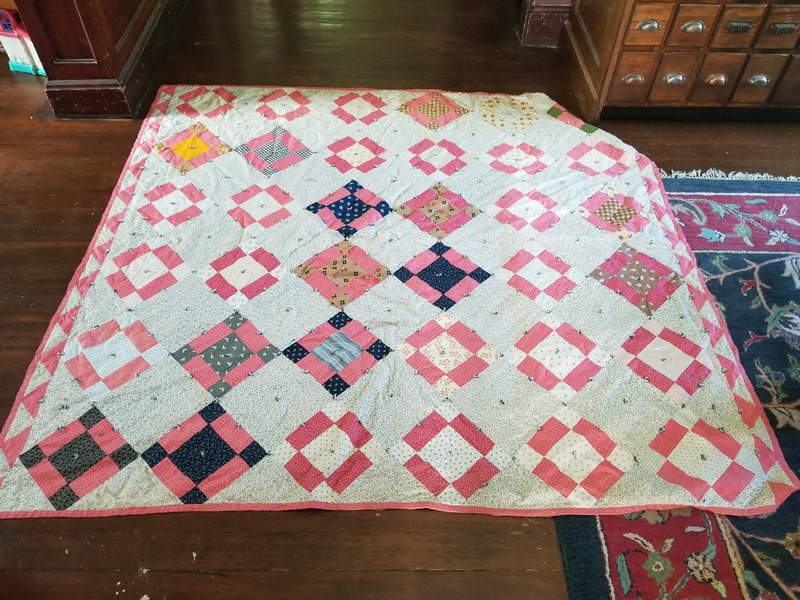 In a recent blog post I told you that my friend Connie had been looking for a cutter quilt. I call any quilt that is getting to the point that it is beyond repair a “cutter quilt”. Often time crafters and quilters cut the quilt up and make things from the quilt. I did a little google searching so I could find some examples of things made from old quilts. This old teddy bear is cute. I made Buck and Karl teddy bears with cutter quilts when they were little. For this one it looks like a fan was cut out just beyond the outer edge of the fan block. In the right house this would be a cute candle mat. If you search Pinterest or Google typing in “cutter quilt” or “cutter quilt projects” you can see lots of things that people have made with cutter quilts. For some, cutting into a quilt is a sin. I have mixed emotions about it. I’ve cut into several in the past…but only ones that are beyond fixing. Coming up on soon I am hoping to host a “auction” here on the blog again. This quilt will be offered then. I classify this as a cutter quilt. 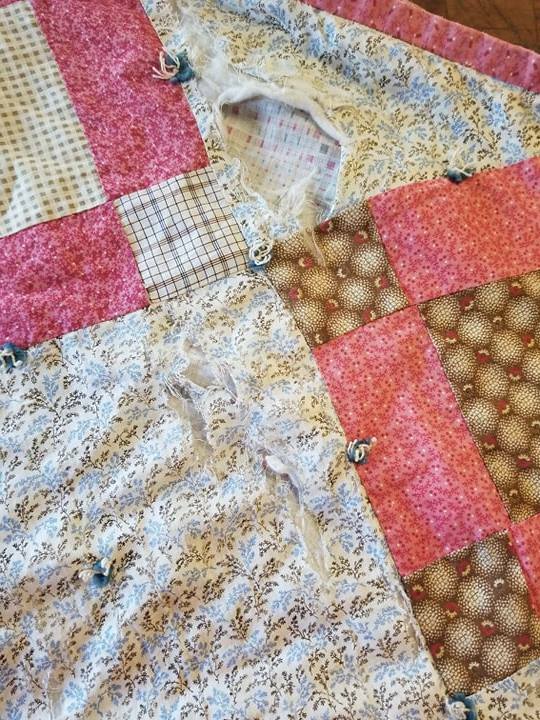 What happened with this quilt is that the maker used good quality fabric to make the blocks but didn’t use a good fabric for the alternate squares. You can see the poor fabric in this picture. This quilt was tied so whoever is interested in this quilt might buy it with restoration in mind. They might seam rip it apart and resew it together with a new alternate block fabric. Someone else might be interest in it as a cutter quilt cutting the pieces and making it into a teddy bear. Yet another person might preserve the quilt carefully folding it and stacking it so that no damaged blocks show. Most looking at the quilt would never be able to see any of the damaged parts of the quilts. 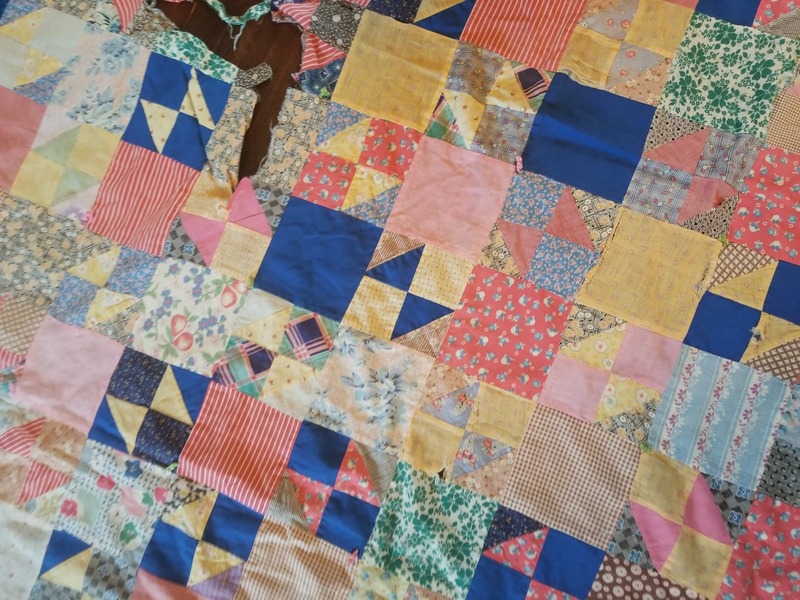 Everyone has their own opinion about cutter quilts and what do with them. There is only one thing that bothers me…that’s if the cutter quilts get thrown in the garbage. I’d love to read about how all of you feel about cutter quilts…just remember that whatever you say, make it kind. Each of us is allowed our opinion. This entry was posted in Ask Jo on July 20, 2018 by Jo. I really like all the projects made from those old quilts but I just can’t seem to take the plunge and do the cutting myself. I agree with you Jo, it is a shame if the cutter quilts get thrown away. Think how many are thrown away because people don’t know they can be made into pin cushions or teddy bears. Why not turn them into something usable! It is just another form of recycling! I might be able to cut up a raggedy quilt purchased at a thrift store or yard sale, but never one that was from my own family. I never think a quilt should be thrown away, though. So timely for me. I was given 6 quilts yesterday and 3 of them are cutter quilts. Had never heard that term before but knew of the technique. Now I know how to search for ideas. Thanks. I too would rather them be made into something else than thrown away. Too much love and work was put into them to just throw away. I”m with Kris P – I couldn’t cut up a quilt made by a family member. Thanks for listing places to search for ideas for cutter quilts. 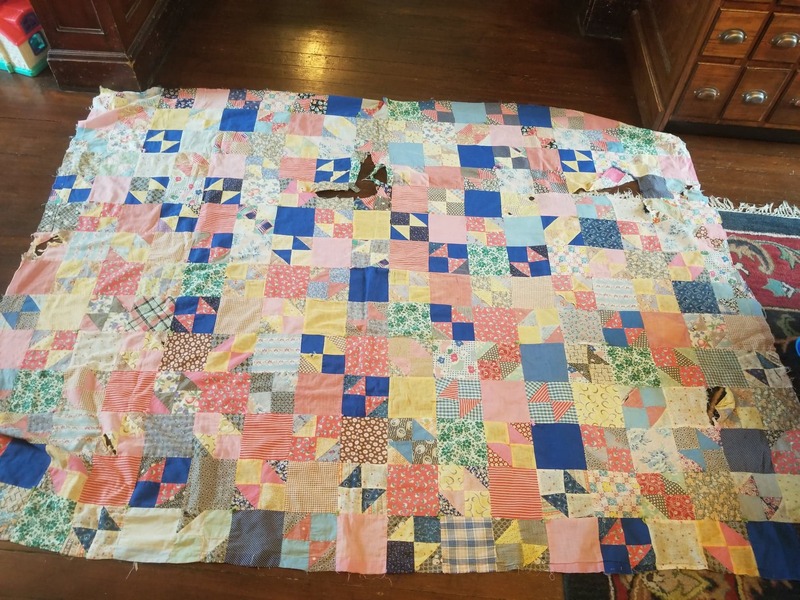 I like the idea of a cutter quilt as it is a way of preserving a piece of something that otherwise might be thrown away. I agree that it’s better to cut up a quilt and recycle it than to throw it away. But I can’t seem to do it myself, especially a treasured quilt made by my grandmother. It’s beyond repair so I replicated it but the original is on a shelf in a cupboard. The one from Spencer’s grandma is a cutter quilt and it was almost thrown away. I can’t bear to cut it but I know I should. Most of the damage is around the edges so I have considered just trimming it down and re-binding it.